The Alliance of American Football is bringing a new look to football. The AAF features players with local ties to your team, and new technology that brings fans closer to these players, their stats and in game experience. This excitement will continue as you #playlikeapro with these Inaugural OYO minifigures. OYO brings the fan experience home for the new league with the 2019 Inaugural minifigures. 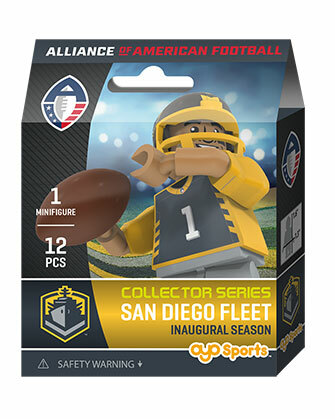 The first AAF OYO minifigure for each team, features the 2019 Inaugural patch, the #1 on each jersey further signifying that this is the first minifigure for each team. This minifigure is available only in 2019, and then retired from production at the end of the season. 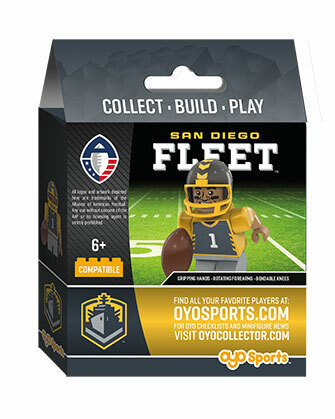 Get in the game with your own OYO Sports AAF minifigure! 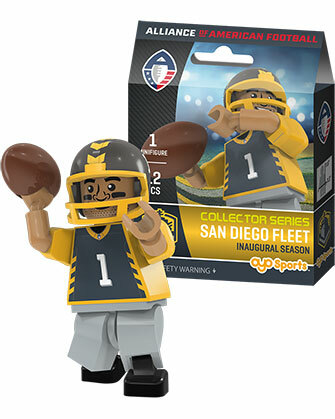 Bendable knees and elbows mean that your minifigure is ready to catch a pass or throw the game-winning touchdown. With details and accessories like an authentic team uniform, football, helmet, removable face mask, NEW headphones and more_get ready to bring football action home to you! The perfect gift for the biggest (and littlest!) sports fan in your life. Accessories: Authentic team uniform, football, helmet, removable face mask, water bottle and headphones. 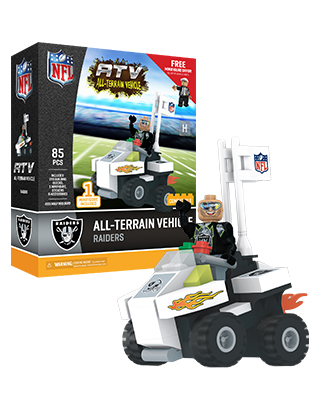 Poseable stand with team logo and 2019 Inaugural Season for your new team's minifigure.